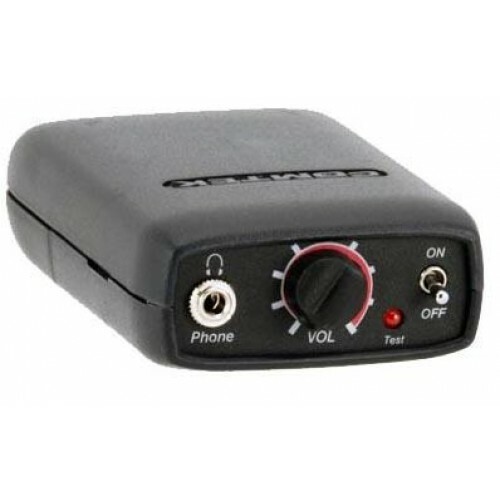 The PR-216 is our highest fidelity, professional quality, personal monitor receiver designed to work wiht the M-216, M-216 Option P7, BST-25/216, and BST 75-216 series transmitters. This versatile receiver tunes COMTEK's high fidelity companded channels for program monitoring applications as well as standard non-companded, narrow-band channels for speciality applications such as time code links. It is digitally synthesized and frequency agile for easy multi-channel operation. This receiver is user-friendly, compact, and extremely rugged. Plus, the use of high efficiency, low power consumption microcircuits and advanced digital and analog technologies ensures superior audio performance and outstanding reliability.